Stability and shock absorbency is what you will get with the Men's V557M. The Apex Men’s V557M Voyage Runner Red is from the Voyage collection which features high tech, breathable uppers and open-air layered mesh linings to keep the foot healthy, cool and dry. 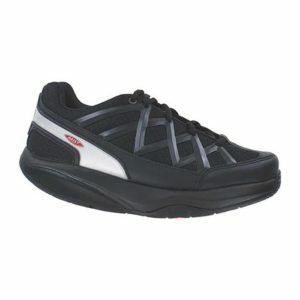 This style is light-weight, soft and provides unmatched comfort. This style is also constructed specifically for rearfoot stability in addition to forefoot flexibility. These technology advanced shoes feature patented, removable Apex orthotics and PRS (Presssure Relief System allows for easy customization and comfort by trimming the insole at the areas of pressure) insoles for customization of fit and comfort. Biomechanically engineered multi-density midsoles provide medial support and stability. In addition, the midsole features a carboplast foot bridge that crosses the shoe for extra control. The outsole features strategically placed pods for floating independent suspension and shock attenuation. In addition, the unique last is semi straight to fit many foot types and provide a comfortable, snug heel fit for stability.